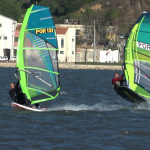 The Cova do Vapor is one of the best beaches with access to windsurfing in the Tagus River. Located in the municipality of Almada, Parish of Trafaria, this spot is only 12 km from Lisbon, by making access to water a small beach facing the river oriented North. 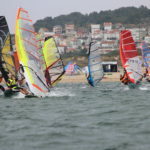 It is an excellent beach for all levels, although it is advisable to use 2 to 3 hours before and after low water as the shallow bottom enhances security and facilitates practical at all levels of practitioners. With the high tide the beach is very small and if there sweel great at sea, it can also get into this small river beach. As this beach is against the mouth of the Tagus is necessary to ensure the edges to avoid the strong currents off could hinder the return to the beach. With winds NW, N and NE edges can be made parallel to the beach and along the ground. 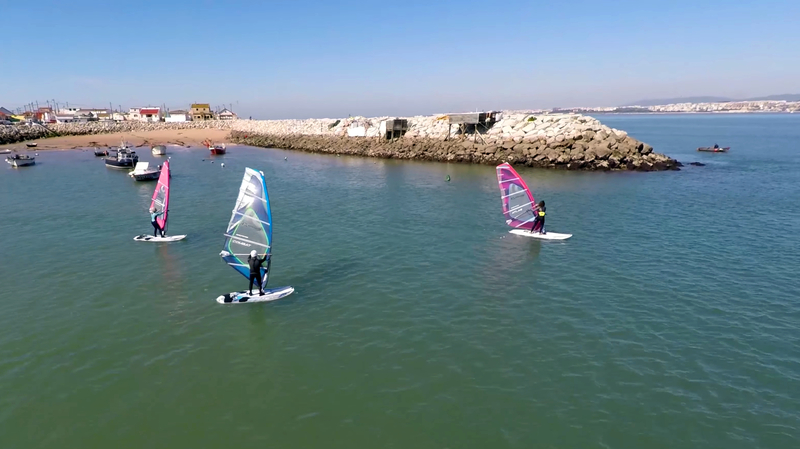 Although the winds are safer if they are causing a lot of very strong wind waves (ripple of wind) that hinders the practice of beginners, except with the low tide. In winter the winds Lestes are the best at that spot, blowing stronger especially in the morning. In the spring Oestes can also work very well, but care must be taken with a large swell from the sea usually associated with this wind direction.